I've created a structure of rooms, with walls, doors and windows. 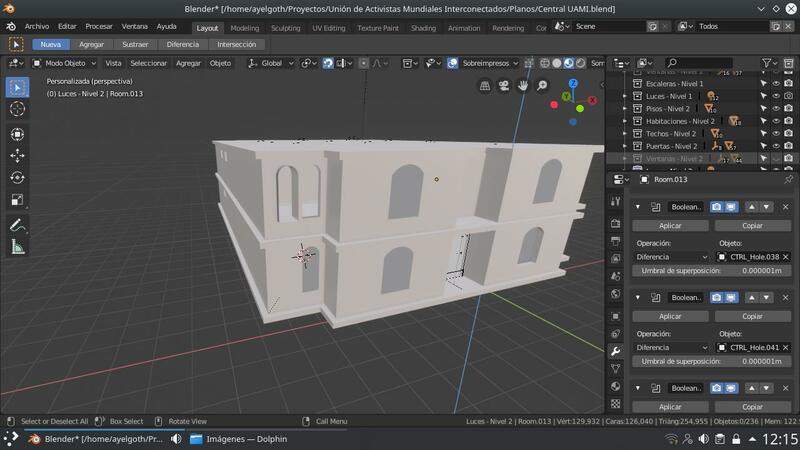 By positioning the windows and doors on the walls and pressing the create holes button automatically, some doors and windows do not create holes correctly. Some windows end up covered by the wall. Also the holes of the doors do not cut correctly those of the baseboards. I attach the blender file so you can see the problem. Can you try to create an as-simple-as-possible .blend file that shows the issue? Also make a screenshot that shows where to look at in the file. The blender file has already been loaded in the previous comment above. Image showing that baseboards and windows are not cut correctly. Create two continuous rooms, which share a common wall. On the wall to be shared between the two rooms, I put only the baseboard to be seen. In the room I put several walls and windows. When I give you to create the holes automatically, the windows do not cut well and neither does the baseboard, they appear as they are seen in the circles of the image. I'm starting a new file, I've put all the objects in one collection to test if the same thing happens. I think the problem of errors happens when I classify objects in different collections. I'm going to test this theory. I tried again from a new file and the error is the same. 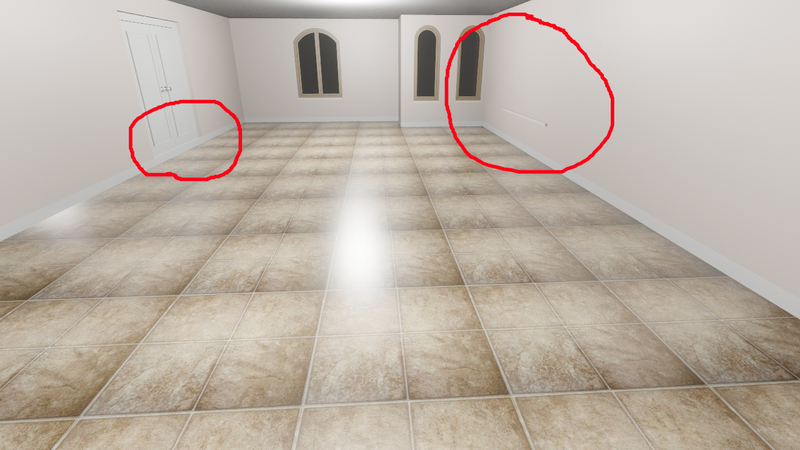 By putting windows and doors in several rooms and pressing the button to automatically create the holes, several doors and windows do not create the hole correctly, some walls and baseboards are not cut correctly. No matter how many are in the same collection. What I see in the program are calculation errors when creating Boolean operations of differences. I expose the first case, I added the windows to the walls, but when I hit the button to create the holes of the windows automatically, it does not create correctly the operations of Boolean difference. Now I put so that the windows are not seen and you can see that the automatic holes were not created correctly, in some windows were created well and in others badly. The same thing happens with the baseboards of the doors, some were created well and others badly. It is certain that what is failing are the operations Boleans.